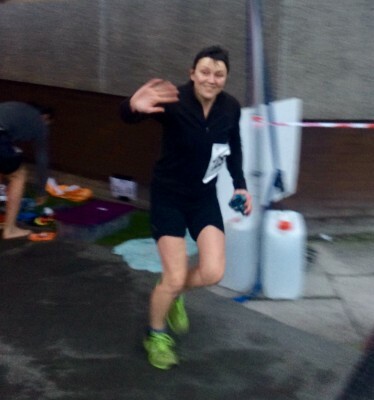 Home/Blog/My First Aquathlon – One For The Ladies. On a drizzly Saturday afternoon what better way to add excitement to the day than to take part in my first aquathlon, a pool swim straight out to an off-road run. 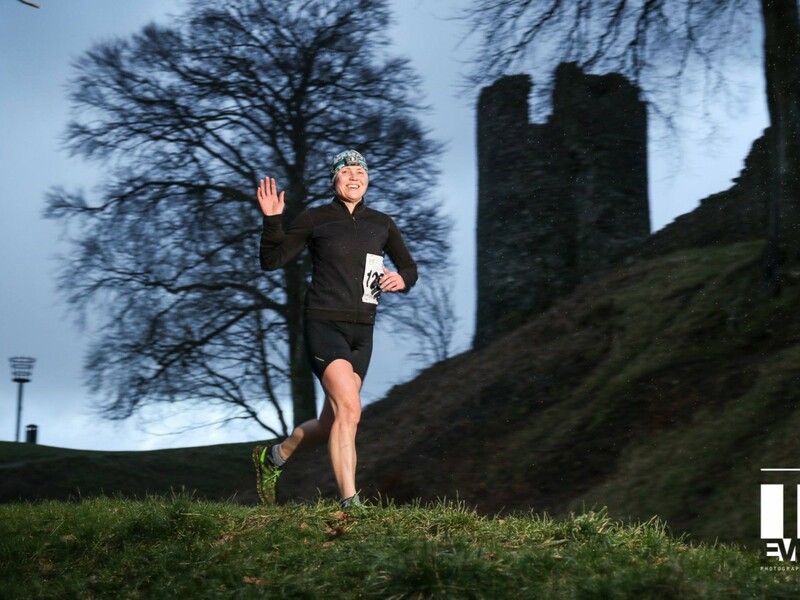 I noticed the Kendal Castle Aquathlon a few weeks ago and harboured a notion to do it, and luckily the stars, the support team and the mood of my toddler all aligned to enable me to do it. 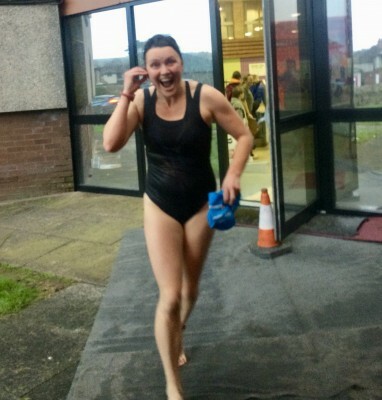 I wasn’t quite sure what the ‘dress code’ was for an aquathlon, so I had a few questions: Do I wear a swimming costume and get changed into running gear in transition?, or will most people be wearing tri-suits? and most importantly what about a bra? Now chaps don’t have this issue, but i’m not about to embark on any run with out chest support. Pool exit, going into transition. One lady suggested a swimming costume with legs and a sports bra under it for the swim, this seems a great idea to me and you would only need to pull your run top with pre-attached race number or race belt over your costume. But this was a gloomy afternoon in February and I went with the sports bra under my swimming costume for the swim and pulled a pair of shorts and long-sleeve top on over this in transition to the run. Sorted. With having to put trainers on too, I could probably cut some time off in the transition without having to put the shorts and top on but it was cold, Brrrr. If you really want to save time have a play with elastic laces and no socks for the run, that’s where the bigger time savings are. If I had saved one minute here it would have meant ladies 3rd place for me. I’m more than happy with first in my age group for my first aquathlon but the main thing that struck me was the taking part, we were all lap-ing those still on the couch as they say. It was a really friendly event and with 50% of the participants being ladies it was great to see and be part of. I bumped into a couple of ladies who had been on some of our guided swims, its always great to meet happy customers. I was totally impressed by the ladies who were obviously at the start of their swimming and /or running fitness journey’s who had turned up and taken part; there might have been a few nervous faces at the start but they totally bossed it. Well done everyone. With thanks to my boys Pete & Bear, the best support team.